William Hertling is the author of Avogadro Corp: The Singularity Is Closer Than It Appears, A.I. 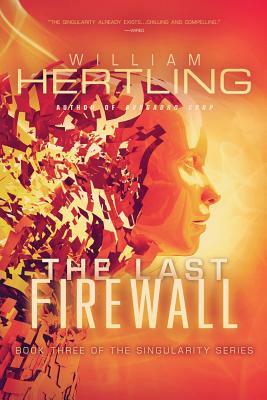 Apocalypse, and The Last Firewall. Brad Feld, cofounder of TechStars, called his first novel, Avogadro Corp, "a tremendous book everyone must read." A twenty year veteran of the technology industry, he holds ten patents on software and internet technology and is a frequent speaker at technology and writing conferences. When not writing, he works on web and social strategy. He's been building online communities since 1986 when he ran seven phones lines into the back of his Apple //e to create an online chat system. An active blogger since 2002, his website, williamhertling.com, receives more than 50,000 visitors a year. He resides in Portland, Oregon.